Out In The Vineyard is an experiential Wine Country Event and Travel company promoting positive LGBT lifestyles and offering exclusive, luxury itineraries and events in Wine Country for the discerning gay traveler and friends. 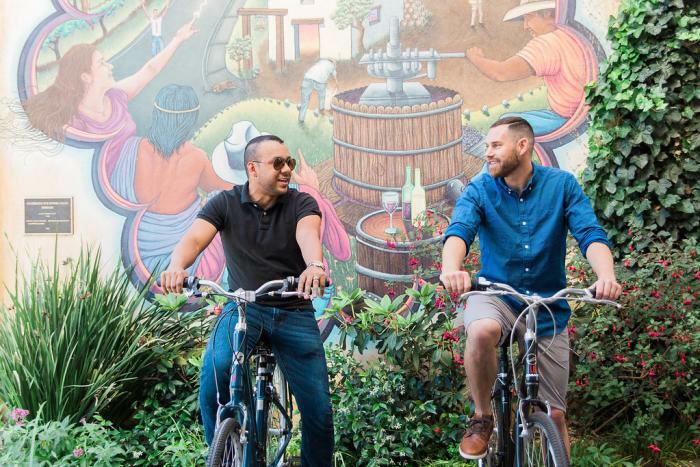 Their itineraries present the LGBT wine country lifestyle to our guests; from luxury hotels and exclusive winery tours, to catered lunches & dining experiences in private estates provided by some of the finest restaurants and private chefs in Wine Country. Our Events bring the LGBT community together to gather and socialize and raise funds for many worthy LGBT causes. 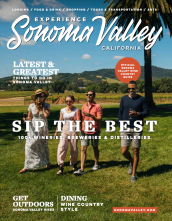 Sonoma Valley&apos;s Out in the Vineyard&apos;s flagship event, Gay Wine Weekend, won the 2015 &apos;Event of the Year&apos; by popular LGBT travel magazine Man About World. Gay Wine Weekend 2018 is coming July 20-22! Join us Out In The Vineyard for a weekend of Wine & Celebration with new winemaker dinners, winery tours and events, benefiting Face to Face, Sonoma County AIDS Network. “LGBT-welcoming” hotels, resorts and B&Bs to qualify with objective standards, and cooperatively reach and serve the gay and lesbian community. Tag-Approved Hotels in Sonoma include Best Western - Sonoma Valley Inn, MacArthur Place, El Dorado Hotel, Sonoma Farmhouse, Sonoma Farmhouse Ranch & The Gaige House. Keep up with the latests LGBT news with the voice of the North Bay LGBT community. Thanks to the Bay Area Reporter for this great article on LGBT Sonoma!